Passengers book a Grab car or taxi for various reasons. Some are partygoers trying to get home after a night of merrymaking; some are businessmen rushing to get to the next client meeting on time. Then there are those that require a little extra care and attention: children. Let’s begin with the basics: in countries like Singapore, it is mandatory for children under 1.35 metres in height to use appropriate child restraints. 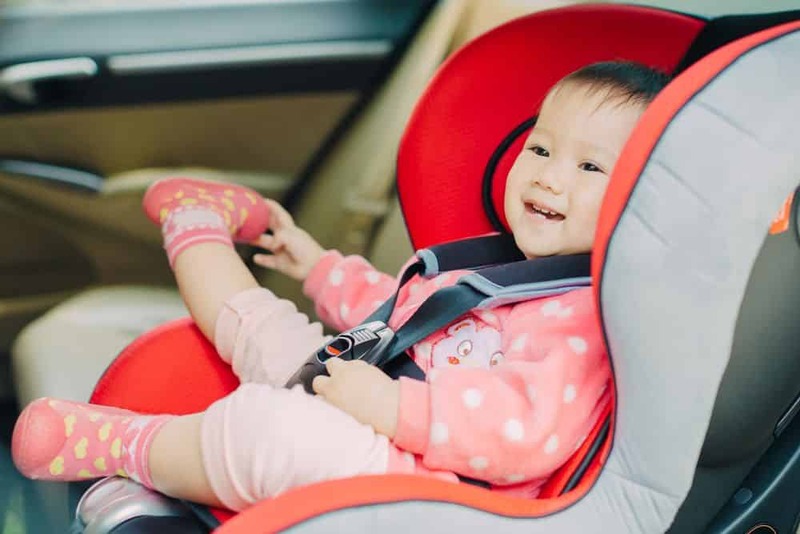 However, a Grab survey conducted with 520 Singapore-based parents found that only one in three parents (35 percent) own a child safety restraint, and only a fraction (8.5 percent) bring it out with them when they are not driving. But fret not! To make things easier — and safer — for Grab passengers, all GrabFamily cars are equipped with special child safety or booster seats, suitable for kids aged 1-3 or 4-7 respectively. So you can be assured that when you call for a GrabFamily vehicle, that part’s all settled. Many parents leave toys in the back of the car for children to play with during their journey. However, a harmless action figure may suddenly turn into a hazard when in a moving car. A better solution is to stick to soft toys while in transit, whether you are in your own car or riding with Grab. Southeast Asia may not be the hottest region on the charts, but it sure feels that way sometimes. And when your car’s dashboard tells you that the temperature is a whopping 34°C, it’s only measuring the outside temperature. It may be hotter inside the vehicle. Leaving kids in the car, even if just for a short while, can cause them to overheat quickly. In fact, temperatures can rise up to 40°C within a short time even with the windows rolled down a notch. To be on the safe side, never leave a child unattended in a car. When you exit a car, take your child with you, even if it is to get a drink at the convenience store. Bottom line: we care about passenger safety, whether you are riding with Grab or in your own car. Singing songs with your children can keep them entertained and happy. Why not use that sense of fun and make up a happy song about putting on their seatbelt? It is a great way to keep little ones occupied while also teaching them about safety. Reading anything in a moving vehicle — like a book or iPad — may cause dizziness, leading to motion sickness. If your little one is prone to motion sickness, it might be best to keep a few handy items on hand – things like wipes, sanitiser and a spare outfit – so you can mop up any mess.